For years, Purist Audio Design has been asked by customers for an inexpensive interconnect or speaker cable that could be used for home audio, professional audio, car audio and internal wiring projects. Audiophiles, your wait is over. We are proud to introduce the VESTA. 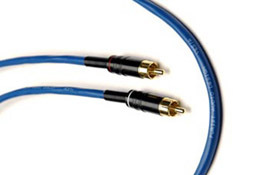 The Vesta interconnect is a three-conductor, and the Vesta speaker is a two-conductor cable. Both are one hundred percent foil shielded, built to give the audiophile the quality and sound performance you have come to expect over the years from Purist Audio Design.